Lars is a science communication specialist heading the European Southern Observatory education and Public Outreach Department in Munich, Germany, where he is responsible for public outreach and education for the VLT, La Silla, for ESO's part of ALMA (the largest and most expensive ground-based astronomical project currently under construction), E-ELT (the largest planned visible light/near-infrared telescope) and ESA's part of the Hubble Space Telescope. He obtained his Master's Degree in physics and astronomy from the University of Copenhagen, Denmark and has more than 100 publications to his credit, most of them in popular science communication and its theory. His other productive interests cover several major areas of communication, including graphical, written, technical and scientific communication. He has written several books, including Eyes on the Skies – 400 Years of Telescopic Discovery, Hidden Universe, The Hands-On Guide for Science Communicators and Hubble – 15 Years of Discovery. His books have been translated to Finnish, Portuguese, Japanese, Danish, German, Korean and Chinese. 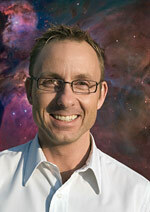 Lars is Press Officer for the International Astronomical Union (IAU), a founding member and secretary of the IAU Commission 55 Communicating Astronomy with the Public, manager of the ESA/ESO/NASA Photoshop FITS Liberator project, executive editor of the peer-reviewed Communicating Astronomy with the Public journal, executive director of the Hubblecast and ESOcast video podcast, manager of the IAU International Year of Astronomy 2009 Secretariat and the Executive producer and director of the science documentaries Eyes on the Skies and Hubble – 15 Years of Discovery. In 2005 Lars was the youngest recipient so far of the Tycho Brahe Medal for his achievements in science communication. Lars lives in Garching near Munich, Germany, with his wife and son. Raquel started on the road to the cosmos as an amateur astronomer in Brazil, her home country, having made her own telescope in her teenage years and providing observational data and images of various astronomical objects to scientists and organizations worldwide. Her first participation in Hubble projects was back when she was an undergraduate student, when she was awarded a research internship at the Space Telescope Science Institute in the USA. 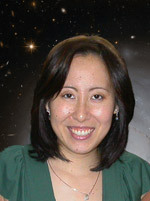 Before joining the team of ESA's Hubble group in Germany in 2006, she worked at the Astronomy Department at the University of São Paulo, Brazil, in the development of pioneer and award-winning educational projects involving the use of a network of automated telescopes. At the same university, she graduated with a professional degree in architecture and urban planning. Currently, she is part of a group of scientists, astronomy communicators, and designers at the European Southern Observatory education and Public Outreach Department in Germany. She focuses on the use of internet-based technologies for bringing a wide variety of visual products and important astronomical news from Hubble, ESO, the International Astronomical Union and the International Year of Astronomy 2009 to the general public. In her spare time, she still enjoys doing amateur astronomy observations and photography. 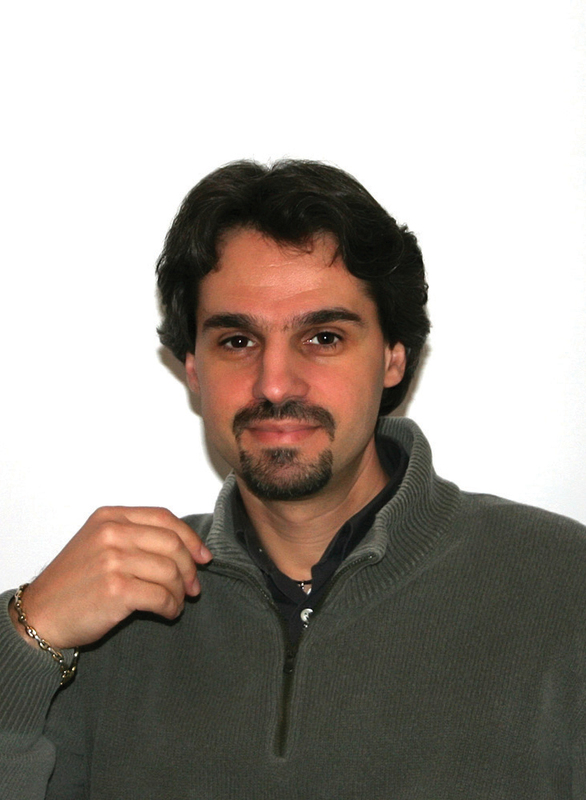 Davide is an electrical engineer working in Venice for the largest Italian power supply company. He is responsible for the company's fleet vehicle management and is involved in the development and implementation of new technologies and methods to improve work-force management. Davide has been an amateur astronomer since his childhood, when he started to devour everything about astronomy. He has been an editor of the Italian magazine Coelum since 1996, writing dozens of columns and articles ranging from the history of astronautics to astronomy popularization. He has realized or collaborated in a variety of astronomy popularization projects as websites, multimedia supports, shows, exhibits and books. 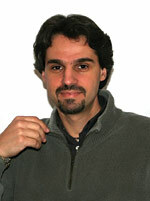 Recently, Davide has mainly focused his activities on processing old data from observatory archives and developing techniques to turn them into images. Most of his work is presented at www.skyfactory.org. He has been part of the European Southern Observatory education and Public Outreach Department as an image processing team member since 2005, producing some of the most popular Hubble and ESO images. Although Davide has become used to looking at the universe through Hubble's optics, he still loves the direct eye contact with the night-sky using his Dobsonian telescope.